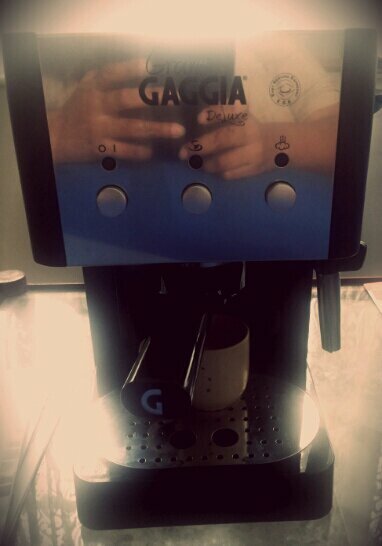 We have been loving and using our Gaggia espresso machine to the fullest! The coffee is so good and so flavorful that I don’t enjoy drinking coffee outside anymore! The beautiful aroma and richness of the coffee is unparalleled. 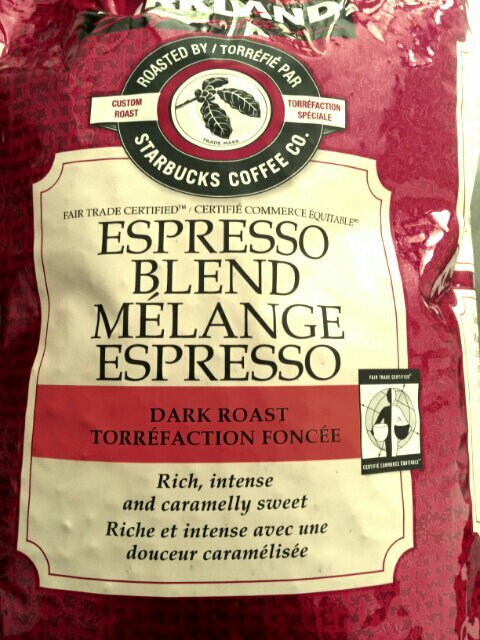 S and I are lucky to have amazing friends and family who get us great gourmet coffee. I found a package of Kalhua coffee in the fridge and we have had the best time drinking it. The aroma is lovely and fills the house with a heady fragrance. The taste is even better. Light on the palate and not strong with the caffeine. When we press this coffee, the house smells perfumed! This morning, we ground fresh coffee. 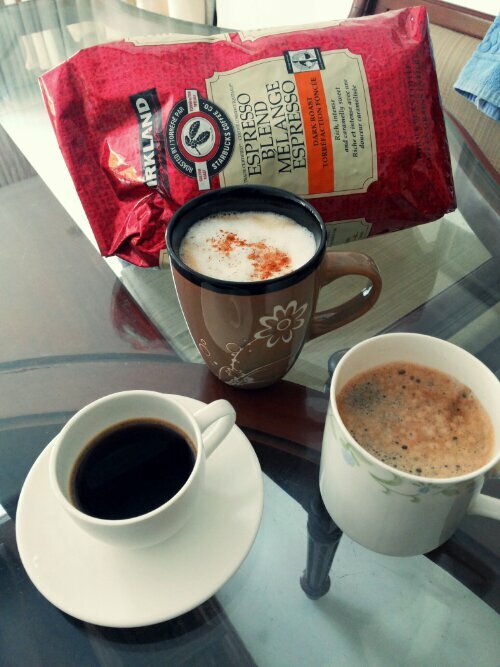 We had this espresso blend coffee beans and thought of starting our weekend with a great cup of coffee. As soon as I ground the beans and inhaled the aroma, I knew we were in for a treat! The fragrance was gorgeous- rich and caramelly! The aroma prompted all of us to try a cup the way we enjoy our coffees. We had espressos, Cappuccino and Americano. The aroma hadn’t prepared us for the beautiful taste and richness of the coffee!! They were all just wonderful. What a great start to our weekend! I hope you have a wonderful weekend too!